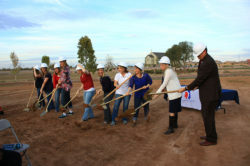 Home Tags Articles tagged with "charter schools"
Friday Heritage Academy officially broke ground on its new $16 million school set to open in July. The campus in Maricopa will be the fourth Heritage Academy to open in Arizona. 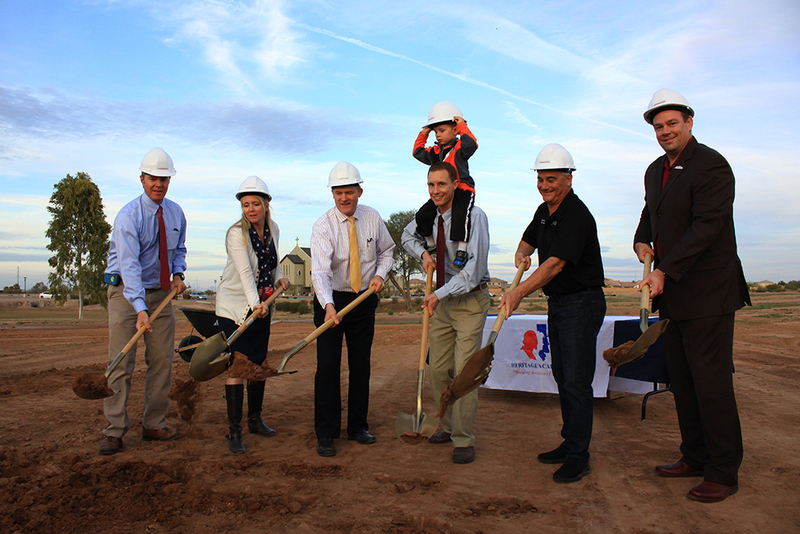 The company has charter schools open in Laveen, Mesa and Queen Creek. He said when people started standing in line at 2 a.m. to enroll their children in the charter school, the Heritage board decided to rethink the idea of opening additional locations. 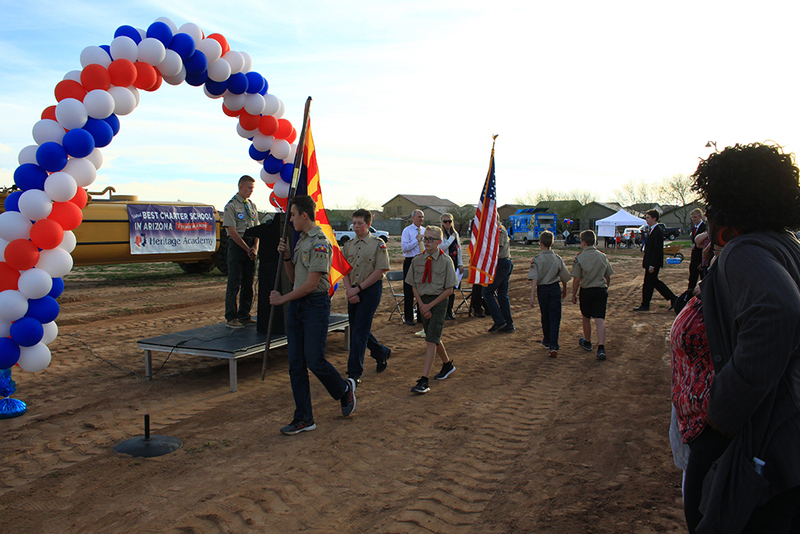 Heritage opened locationa in Queen Creek and Laveen five years ago. “We are not a charter affiliate that needs to build on every corner. We want to go where there is a good fit in the community, where there is a need in the community,” he said. 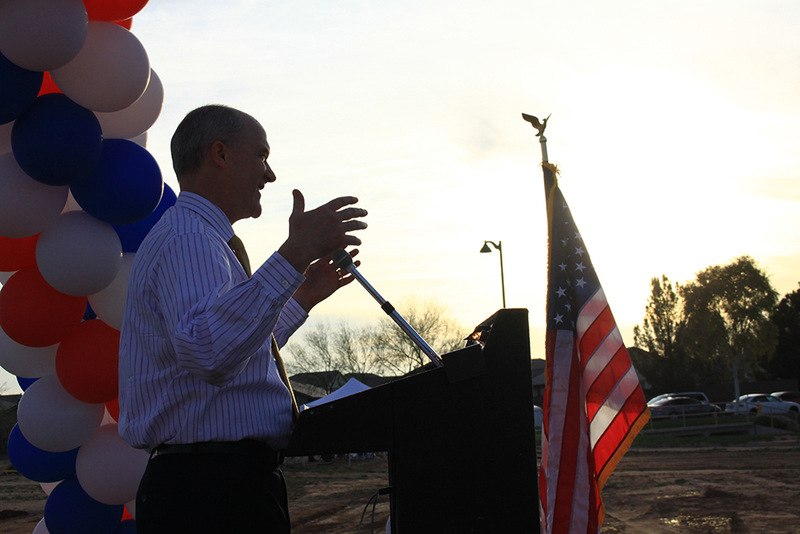 Taylor said he was approached by some Maricopa parents, especially Sarah Morgan, telling him there was a need in the city as many charter schools had a long waiting list to enroll. Taylor said the $16 million investment in the Maricopa school will come in two phases, with $13.3 million for the opening phase in the first year followed by a $3.3 million phase a couple years after enrollment grows. A school auditorium is planned in the second phase. He said the school is expected to be completed and operational by July. “We love the families and we’ve been doing this from the very first year of charter schools. We know what we’re doing. We don’t have to be all things to all people. We just specialize with junior high and high school. Here, we are opening grades 6 through 10 the first year. The next year we will open grade 11 and then 12,” Taylor said. Kimberly Ellsworth will be moving to Maricopa to be the Maricopa school’s first principal. She started at Heritage Academy as a junior high English teacher in 1999. 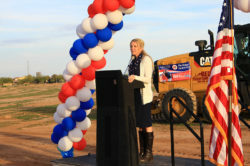 She later worked as a teacher and assistant principal with other schools in the valley and returned to Heritage Academy in 2014 as the founding principal for the Laveen campus. 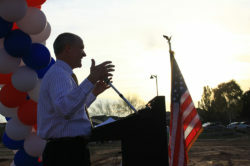 Ellsworth said the first day of school on the Maricopa campus is July 24. 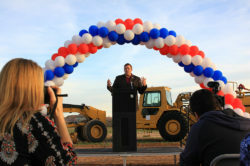 Maricopa Mayor Christian Price welcomed Heritage to the city. To find out more about Heritage Academy visit their webpage at heritageacademyaz.com. “We still have 10 teaching positions to fill. We will probably start with 25 new jobs in the community. Many of them are local. With some of them, they live in Maricopa but working outside of Maricopa. It is fun to bring them back. If people are interested in the jobs here, go to our website to see what openings we have,” Taylor said, adding families interested in enrolling their children in the academy are welcome to tour one of their existing schools. The Maricopa school’s website will be HAMaricopa.com. Sequoia Pathway has two principals, one for the elementary grades and one for the secondary grades. Last year’s high school principal, Dr. Alfonso F. Alva, was promoted to assistant superintendent. The new secondary principal is Diane Silvia, who grew up in New York and started her career in retail management. Seeking a slower pace and better climate, she and her family moved to Arizona, where she discovered a passion for teaching. She earned a master’s in educational leadership and joined Pathway in 2009, holding various teaching and administrative positions. The elementary principal is Rachael Lay, who grew up in Houston, Texas, and holds a bachelor of science degree in elementary education from NAU and a master’s in administration and supervision from the University of Phoenix. She has been in education 13 years and has been principal at Pathway for seven years. Lay points to the introduction of the Galileo set of academic tools and assessments this year, which has enhanced the daily classroom instruction. She looks forward to the new academic year due to the departmentalization of teaching in grades four through six and the addition of intramural sports. Mat Reese is the principal at Leading Edge Academy (LEA) and was raised in Niagara Falls, New York. He left New York to attend ASU and received his undergraduate degree there. 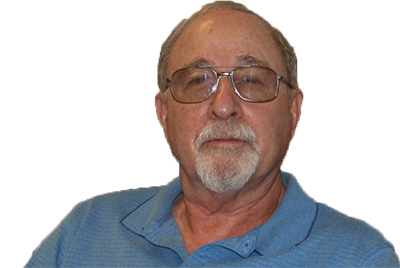 He received a master’s degree in administration from NAU. Reese was a teacher, coach and principal in public schools for 32 years. He joined LEA as its first principal in 2008. He points with pride to the student- and parent-friendly nature of the campus, and he has an open-door policy that allows parents to see him without an appointment. His excitement for the new school year is the same anticipation he has each new year, watching students grow academically. At Legacy Traditional School (LTS), the principal is Amy Sundeen. She grew up in Chicago and received a B.S. from Northern Illinois University. She moved to AZ in 2006 and decided to pursue a career in education through the post-baccalaureate program at Rio Salado College and obtained a master’s degree in educational administration. Joining LTS in 2008 as a special education teacher, she became school principal in 2016. Sundeen believes in the success of the back-to-basics curriculum which is combined with a fine arts program. She is looking forward to continued success with the new VEX Robotics program this year.